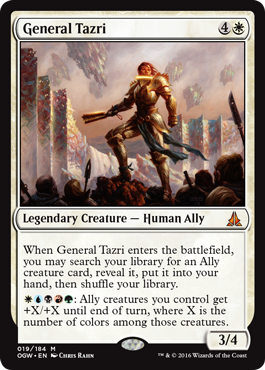 I preordered 4 playsets of General Tarzi for a whopping $9.96 total. How could I go wrong at least than $.65 each. You went wrong because they’re not foil. Who want’s a non-foil commander when the foil will be dirt cheap for a while? Yes and no. $0.65 for a mythic is very cheap, and Allies are slowly becoming the new Slivers as the years go on… I think its a fine purchase, but James needs to understand that he’ll be holding onto those copies for quite some time to come, and also hope that they don’t reprint Tazri in a Commander deck or other supplemental product. 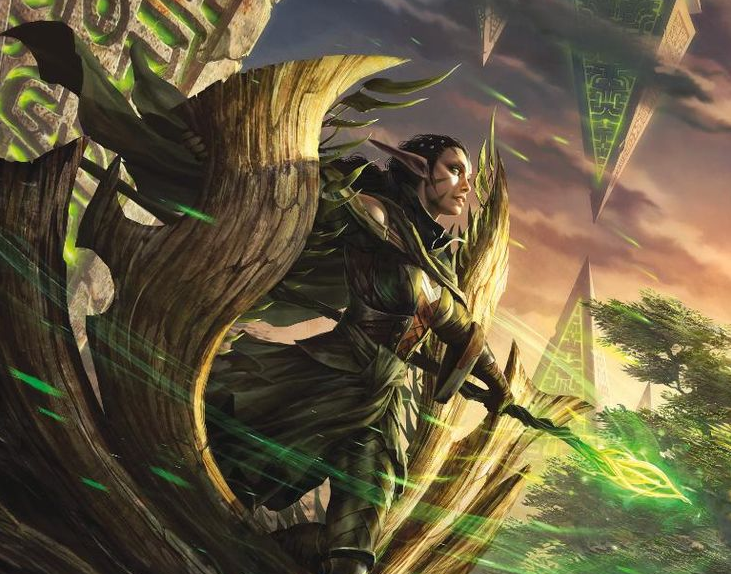 Yost, I’m predicting that Oath of Nissa is going to be all over Modern. 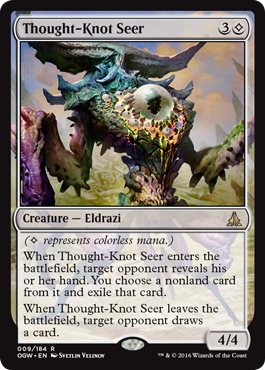 Why wouldn’t Jund and Abzan decks want to run this? Especially when you can cast LotV on turn 3 reliably with this out. 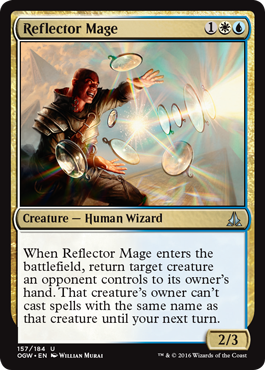 I hate buying into prerelease hype but this card seems better and better all the time. It might even have a place in Tron. 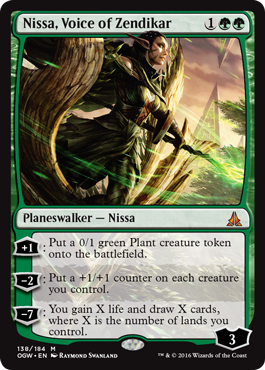 If Atarka’s Command can stay above $10 and it’s a 2 color rare limited to one style of deck I don’t see why Oath of Nissa can’t match that. I also think it’s a likely 3-4 of in Abzan for Standard. 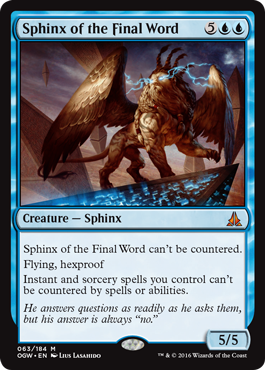 Early it finds your land drops and late it finds your Rhino or Gideon…seems amazing to me. People didn’t think CoCo was all that upon prerelease and if not reprinted who knows what it would be worth. 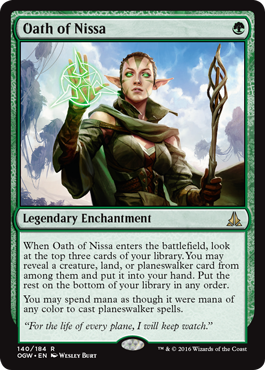 CoCo helped create a whole new type of deck and helped fill a large void with Pod’s departure, but I don’t see Oath of Nissa being far behind in popularity. There’s a few other cards I like, not many though. 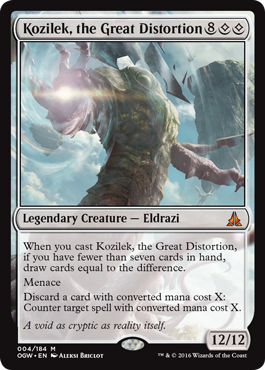 Kozilek seems like a “fixed” Griselbrand and he seems just ok. Ulamog seems better and is easier to cast in any competitive deck, EDH not sure. Glad we’re both on the same page with Oath of Nissa. 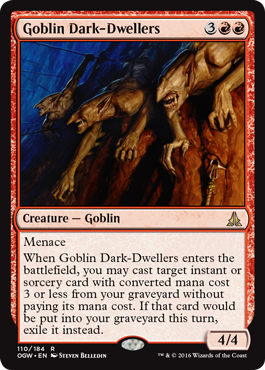 I didn’t really go into the Modern applications of the card, but you’re totally right that it could see play there – the power is present, we just need to see if Jund will play it, another deck, or even a new archetype that sprouts up around it. The problem is that the expeditions, at least until after rotation, will dampen the process on all rares. I mean, Wasteland Strangler exploded in price recently – All the way to $3. We’re probably past the era of $10 rares.